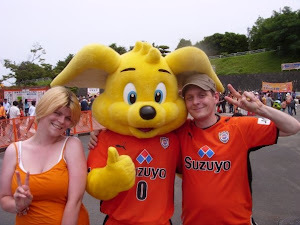 How does an away day in Japan compare with England? It’s been a pleasure finding out. Observe any football fan when the new season’s schedule is published and you’ll witness the same ritual. The long, barren off months are forgotten as he scours the list, pen in hand, circling the major dates. The match closest to his birthday. The derby. The tastiest looking away days. Between 1988 and 2003 it was for England’s Football League fixtures I would count down the days. Since 2004 that energy has been split two ways, with the J. League an additional source of excitement on the football calendar. Larger routines of this supporting life remain chiefly steady wherever you go, with finer details most subject to the vagaries of local culture. This is no more evident than between England and Japan’s take on away games. Getting on the road with your brethren and taking over rival stadia may be cultural constants, but whereas soccer’s birthplace has evolved over a history spanning three centuries, how does it compare to that in a league barely into its third decade? While England’s northern and southern extremities extend a mere 400 miles, the distance between Consadole Sapporo and Avispa Fukuoka spans three times that. 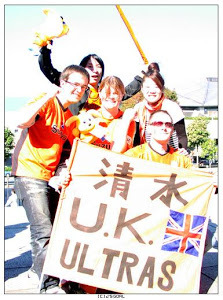 Though most match ups in England can comfortably be covered within a day, few consider a road trip from Tokyo to Hiroshima without a prior visit to booking.com. Even taking advantage of the bullet train, (if you’ve not had the pleasure, think a plane minus the wings), travelling beyond the central Kanto and Kansai regions and you begin looking at a seven or eight hour round trip. This is when thoughts naturally turn to making a weekend of it. Since following Shimizu I’ve made more overnight stays than in fifteen years with Brighton where, as any Englishman knows, a 600 mile day trip is par for the course. Get there, watch the match, get back. Stopping over is an extravagance reserved for the occasional big night out. Very much the exception to the rule. Domestic tourism in Japan is huge business, with each town adept at promoting its unique food and beauty spots. So the commencement in 1993 of tens of thousands of people moving around the country each weekend was inevitably seized upon. Clubs work in tandem with the local tourist industry, promoting the area to out of town visitors. Could I tell you what Coventry is known for? Or Luton, Sunderland or Birmingham? No. But Nagoya? Miso. Sendai? Cow tongue. Osaka? Takoyaki. Yamagata? Cherries. Almost on a par with the football, the local cuisine and seeing the sights rank highly on many travelling fans' to-do lists. 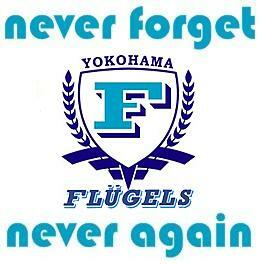 Not forgetting of course to purchase souvenir snacks for distribution the next home game. Who has ever visited Newcastle or Southampton with a list of must-eat items, or made anything other than a most perfunctory of sightseeing excursions? Sampling the local brew is about as far as that practice extends. Which brings us to the famous British boozer. Any match is centred around it, but they can take on greater importance and acquire a more focused role on the road. Rampaging hooligans may be confined to the history books, but their shadow casts long over UK football, and nobody wants to spend too much time wandering around in the wrong colours. When behind enemy lines, the designated away supporters’ boozer is a stronghold to rally the troops ahead of kick off. Japan has a distinctly different drinking culture, and public houses, in the UK sense, don’t exist. What does this mean for the travelling football fan? A laid back attitude to alcohol coupled with an absence of a violent fan history, and no pubs pose small obstacle in creating that mobile base. Rather than heading for a watering hole, supporters merely aim straight for the stadium. They set down tarps outside the away end and break out the six packs. Many arrive hours before the turnstiles open and pass the time making merry, free from open container restrictions or home fan hostility. When the gates are finally unlocked the party is relocated to the stand concourse. Unthinkable in most western cultures, many stadia permit store bought alcohol, allowing supporters to craft their own pub-like environment. The unity engendered in a shared trek over the miles is fostered not in a pub, but with beers and food in and outside the ground. You learn early when in unknown territory that indicators of team affinity are better kept hidden. Concealing shirts and scarves when leaving the ground was a habit I therefore instinctively carried to Japan. When friends first encouraged me to retain colours on display, my scepticism was surely apparent. It was sound advice. After-game adventures clad in S-Pulse orange have since resulted in nothing save for friendly conversations and free beers. The further flung the location, the better. 280 miles from home and after a 4-1 mauling, I surely cast a suitably pitiful sight nursing a can of warm Asahi. Niigata supporters offered no mockery or scorn, but rather consolation and rice crackers for the journey back to Shizuoka. Following only the lowest profile games in England do I not recall being shepherded en masse to a station or held in while the home fans cleared. Be it Saitama, Sendai or Sapporo, at the final whistle home and away fans flood the streets in unison. Save for a handful of incidents over two largely spotless decades, a wide spectrum of supporters, male and female, young and old, intermingle without incident. Two very different traditions, one old, one new, continue to evolve. Though products of respective backgrounds and bound by their histories and customs, English and Japanese away day experiences remain different sides of the same coin. The former could be argued to be rougher, tougher and more authentic, but recent decades have witnessed an obvious, if gradual, shift towards a more serene scene. Enjoying a pint with home fans, especially post match, is more possible now than at any time since the 1970s. Fierce British rivalries, cultivated over decades, ensure merely entering another team’s stadium is considered an act of aggression, and this is unlikely to change too much in our lifetime. However, as the years tick by, if we continue to edge a little closer to that laid back utopia in the Far East, who would argue against it? For anyone used to the away day as foray into enemy territory, a J. League game on the road, where visiting fans are treated less as invaders and more as welcome guests, is one for the bucket list.